Yosemite Area Regional Transportation System (YARTS) successfully completed its ‘Reduced and Free YARTS to Yosemite’ program for 2018 funded through the California’s Low Carbon Transit Operations (LCTOP) grant program. In Merced County, the program allowed adults to ride to Yosemite National Park for $5, and children, ages 0–12 rode free. In Mariposa County, residents were provided free passes to ride the bus to and from the Park. 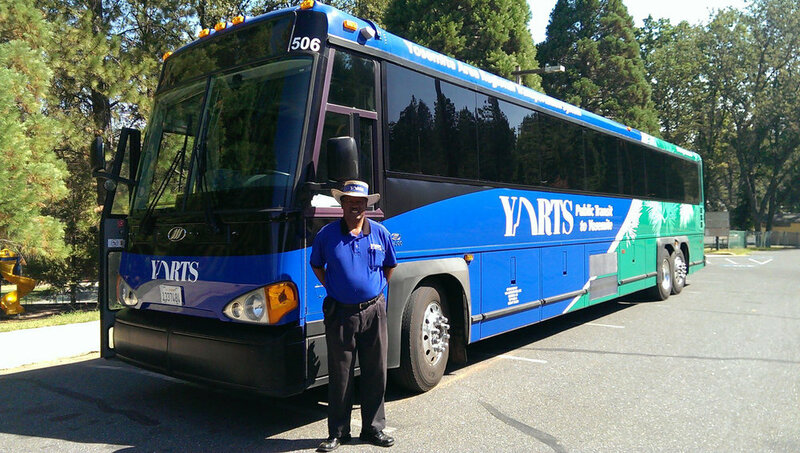 In total, YARTS provided over 500 adult reduced round trips and 850 child trips from Merced County and over 2,800 free round trips from Mariposa County to Yosemite. The ridership also saw a significant increase in low-income populations as a result of the program. “We met a group on the bus that was from Merced that had service dogs and bought the reduced tickets to spend the day in Yosemite. There’s no better way to spend a weekend than with a trip to Yosemite National Park,” said Jennifer S. of Mariposa. Cindy Kelly, YARTS Assistant Transit Manager, said that one of the goals of the program was to be able to offer residents in Merced and Mariposa Counties a way to enjoy outdoors spaces with families and friends, at little to no cost. “We want to teach our next generation of Californians to be good stewards of our public lands by showing them the beauty of Yosemite,” she said. Kelly said the program was originally scheduled to last until June 30, 2019 but that it was so popular all the passes were distributed within just a few months. “We never thought the program would be such a hit,” she said. “Obviously, we’re thrilled that so many people chose YARTS over driving their personal vehicles. We wish we could offer this service more frequently to our communities.” And she’s doing her best to make that very thing happen with YARTS staff already working on a plan to expand the program for the 2019–2020 year.